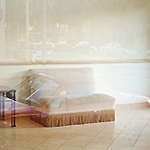 Eric Larson participates in an architecturally inspired group exhibition at Pierson 20th Century Design, San Mateo, CA. Eric Larson participates in The Art of Photography at the Mendocino Art Center in Mendocino, CA. Ingeborg Gerdes participates in the Man as Object: Reversing the Gaze exhibition at the SOMArts Main Gallery, San Francisco. Juried by Tanya Augsburg. Opening Reception: Friday, November 4th: 6-9:00 p.m.